Hey everyone, so I haven't posted for the past few months, but uni exams are over so it's time to craft! 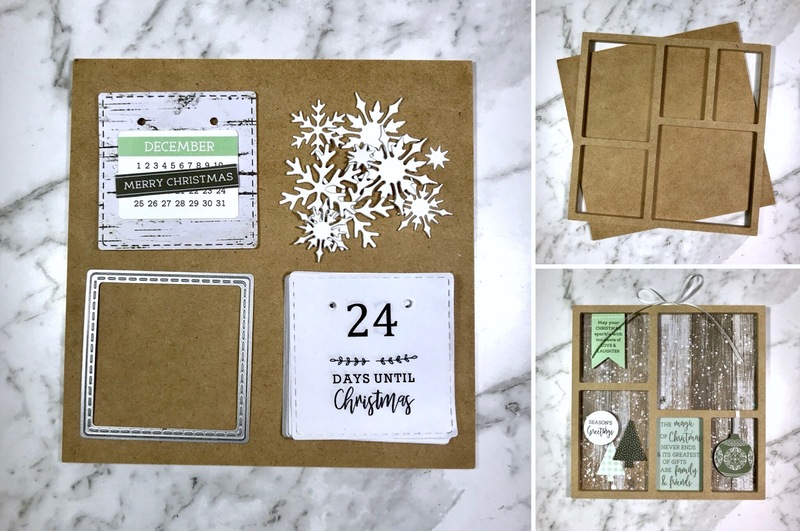 Okay, so Kaisercraft came out with this gorgeous Christmas collection, ‘Mint wishes’ and it’s probably my favourite Christmas collection of all time! Yes, it’s not very representative of an Australian Christmas, but it is gorgeous, so I decided to create a Christmas countdown with it! I’ve had one of those wooden frames for a while (bought it from Spotlight a long time ago...) and I didn’t know what to do with it until this collection came out, typically it's used for photo frames, but I decided to use it for this Christmas countdown. First I printed off some squares (6.5 x 6.5 cm) with numbers ranging from 1 to 24. I cut out these squares using a square stitch die. 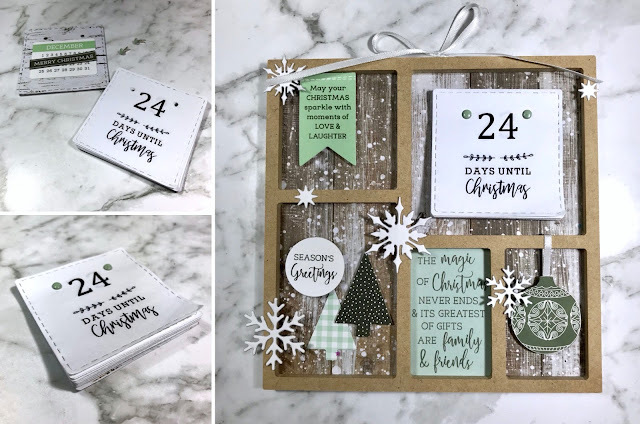 Using some patterned paper I cut another square (same size as the numbered squares) and added a collectable that had the December month and a 'Merry Christmas' message. This particular square would be the one seen on Christmas day. I also cut some snowflakes using a die and added some collectables to decorate the frame. Arrange the collectables as you like! I punch-holed each of the numbered squares and the patterned paper square. I used some silver brads that I painted mint green to put together the numbers counting down from 24 and ending with the patterned paper square. The countdown starts on December 1st, for each day that follows you can rip off a number from the countdown up until Christmas. An additional thing you could do to make this countdown extra special is to write a message on the back of each number square, that way there is a message to read every day until Christmas!